This poll is part of a fascinating wider international survey titled "Identity 2016" which also found that 'Global citizenship' is increasing at the expense of nationalism. To me, this is extremely encouraging. "On the question of whether intermarriage was a welcome development" Spain and the UK were the countries most in favour. Read more from BBC source here. Labels: BBC, Britain, global citizens, identity, refugees, Spain, tolerance. 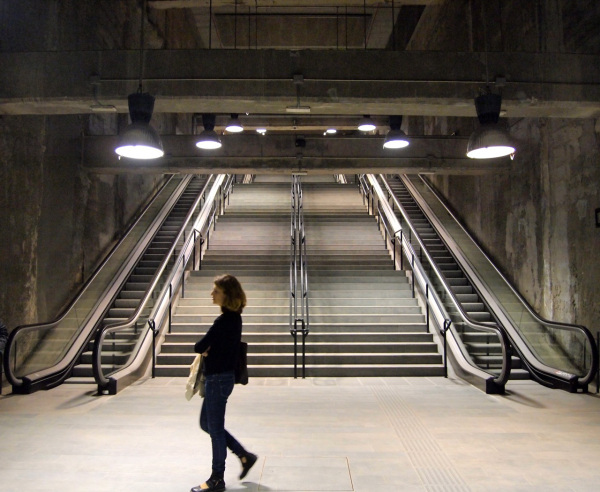 "Brutal Underground: Three [New] Metro Stations in Barcelona"
A Barcelona architect gives his insightful views on the city's new underground line. "Brussels rebukes Spain for failing to take in refugees"
Last week on Catalan (English language) TV, I called for the European Union to hold back financing for Spain if the national government did not immediately follow up on it's previous agreement to welcome significantly greater numbers of refugees than it had done. 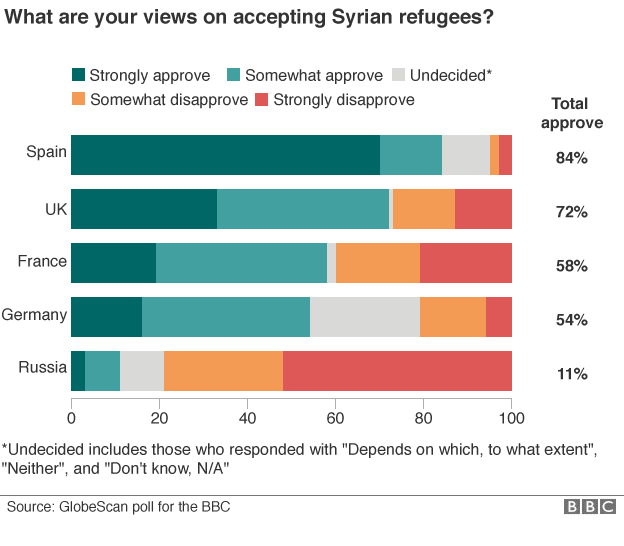 "Spain has only taken in 18 refugees since September 2015, when European countries pledged to help people fleeing conflict in Syria. 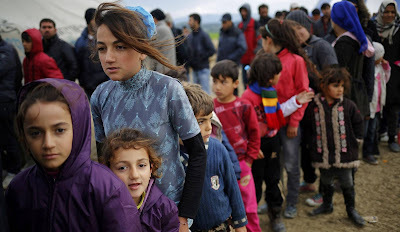 In March, the Spanish government promised to speed up that rate by accepting 467 new refugees within that same month. But a European Commission report shows that nearly two weeks after the deadline expired, not a single one of those 467 people has arrived on Spanish soil. Several European institutions are rebuking Spain for these disappointing numbers, and talking about "a lack of willingness" on the part of the Popular Party (PP) acting administration. Acnur, the United Nations refugee agency, joined that chorus of critical voices in Congress on Tuesday." More from El Pais source article (in English) here. One of the greatest things about Shakespeare - one of the things I love most about his writing - is his rare ability to have his characters speak for themselves but also somehow show a more universal state of mind. His fiction is as real as it can get despite the fact that we are reading his words or hearing them said hundreds of years after he wrote his works. "I have of late—but wherefore I know not—lost all my mirth, forgone all custom of exercises, and indeed it goes so heavily with my disposition that this goodly frame, the earth, seems to me a sterile promontory; this most excellent canopy, the air—look you, this brave o'erhanging firmament, this majestical roof fretted with golden fire—why, it appears no other thing to me than a foul and pestilent congregation of vapors. What a piece of work is a man! How noble in reason, how infinite in faculty! In form and moving how express and admirable! ...The beauty of the world. The paragon of animals. And yet, to me, what is this quintessence of dust? Man delights not me. No, nor woman neither." To me this is one of the most moving of Shakespeare's passages. I first heard it performed by Richard E. Grant, playing an unemployed actor in the final scene of the superb film, "Withnail and I." Here, the character is seemingly making a balancing act in his mind, weighing up the good and bad of his species and the universe we inhabit. His judgement is a heavy one, as if mankind does not merit a place in the cosmos. Or is Hamlet just speaking for himself alone? That is another beauty of Shakespeare's writing. He is a poet and surely the greatest in the history of the English language. His words are open to many interpretations still (even after thousands of academics have picked them apart syllable by syllable) and this pliability gives his ideas a freshness that never dries up. As a wordsmith and creator of English, it's also generally accepted that no-one can be compared with Shakespeare. When he couldn't find a word to do the job he wanted he simply invented a new word and many of these words live on in the language today. His writing benefited from him also being an actor. Shakespeare knew how lines could be delivered and had an extraordinary ear for how their musical rhythm would be heard by audiences. 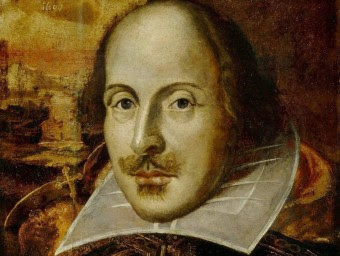 Sadly, many people's experience of The Bard (as he is often called) was having his sometimes archaic language drummed into them by secondary school teachers who knew no better than the traditional methods. I was one of these victims and didn't rediscover the glories of Shakespeare's work until well into my twenties. Then I found that I too had to teach his plays. This was not easy but surprisingly, I learnt that my Catalan students were much more receptive to him than those kids I'd tried to teach Shakespeare in Australia or England. Catalan students had the advantage of already being bilingual and Elizabethan-era English was just another challenge. Shakespeare's timeless themes will continue to reach out across the centuries, "to-morrow, and to-morrow, and to-morrow." 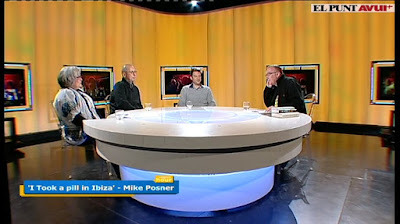 Last Thursday I was a guest again on Matthew Tree's round table chat show, Our Finest Hour. We talked about the Spanish government's disgraceful rejection of Catalan proposals to welcome 4,500 refugees, the most recent ranglings over who might make up the next administration in Madrid and the role of multi-lingualism in Catalunya.